Sometimes simplicity just shines through. i had this Through the Trees stamp set by Papertrey Ink sitting on my desk, i was looking at it thinking I was going to get into an inky mode when I stamped the trees onto the card this happened, I no longer thought getting inky was the way to go. A simple band of moss coloured card with a white sheer ribbon and a sentiment charm. Absolutely stunning Jak, I love the simplicity of it. It's beautiful, Jak. 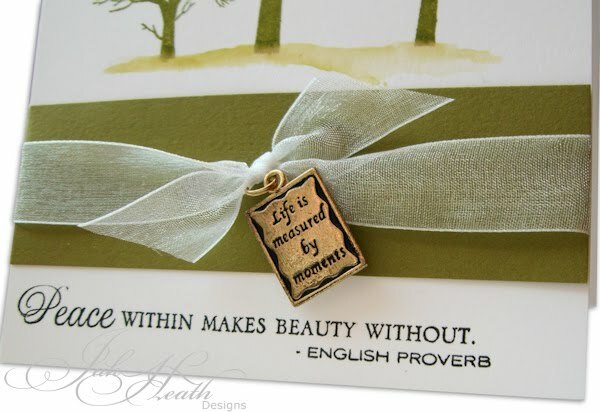 I love the simple elegance of it!! 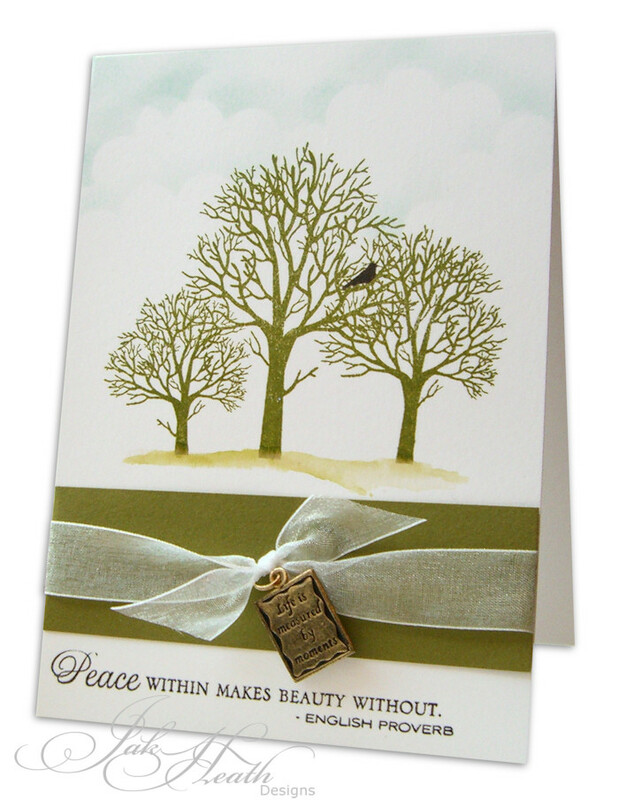 OMG - i simply love this card Jak - I sooo love trees. This is stunning.